CAIN BUILT LTD – Transforming Ideas And Visions Into Reality. What is CAIN BUILT LTD? YES! Not only will our guarantee go above and beyond but Cain Built Ltd. will give you a 287-point Quality Assurance Checklist so even the smallest details of your home is checked, ensuring your home is built to the highest standard.The Quality Assurance Checklist is a checklist set up by our company, to make sure we leave no stone unturned and ensures we deliver an excellent standard of workmanship. PAYING FOR THE BUILDING PROJECT HOW DOES IT WORK? Payment options depend on the type of contract you choose to use. With a full contract you only make payments to one company,with payments made either fortnightly or at set milestones.When you receive your contract from Cain Built Ltd.,we’ll provide you with both a payment and a project schedule, which will give you an overview of what to expect with your build, and how much the initial amount of the build will cost. SHOULD I REQUEST A FIXED PRICE QUOTE OR COST PLUS MARGIN? A fixed price quote can give more certainty at the outset of your build and works really well with new builds. However, there are going to be certain “tagged” items in your build (common in renovations), where a price cannot be confirmed until work begins. At Cain Built Ltd. we’ll advise you on which choice would work best with your budget and give you ample time to consider everything and make your decision. INSURANCE - DO I NEED IT? WHAT ARE MY OPTIONS? Yes, you absolutely do. At Cain Built Ltd. we provide Contract Works Insurance for new homes ensuring you can sleep easy. 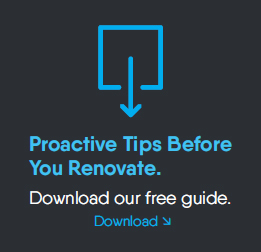 For renovations,insurance must be added to your existing homeowner insurance policy. In this case we provide Public Liability Insurance as we are unable to insure the renovation if we don’t own the house.In addition to this, we also provide you with our very own guarantee, to ensure that you’re covered on all fronts and receive only the best quality. A full contract involves a fixed price for your whole project and the building company will organise everything involved from contractors to the final building inspection. Our most popular. A cost plus margin contract includes the price of all materials plus the builder’s margin. Although this type of contract does not offer a fixed price, it allows you to take advantage of builder’s discounts on materials and trades, as well as giving you the flexibility to make changes as the project progresses.Under cost plus margin, the building company will also organise everything from contractors through to the final inspection. Cain Built Ltd. complies with the ‘HazardCo System,’to ensure your construction will be site safe.Additionally, we have a reliable team who have 13-15 years of experience in the building industry,so you can rest assured that your build is in good hands. No serious accidents have occurred on site; a record we pride ourselves on. Yes, in most cases you can. However, each job is different. We’ve come up with some creative ways of ensuring you can live in your home for the majority of the project, if not for the entire duration.We take into consideration your budget and realise there are times when you can’t be expected to live in a hotel or motel, for the duration of your build when money is tight. Hence, we assess every case individually, with serious consideration given to safety and feasibility and only then deliver a verdict as to whether you can live on-site or not. Unforeseeable circumstances such as bad weather or structural rot (common in renovations) are sometimes likely to arise which can push your budget over. It’s always important to find out how much you’ll be charged for variations and extras before you sign any contract. Many companies use this area to make a lot of money by keeping it hidden or obscure. But don’t worry, our experienced project manager will be there to inform you and deal with any hiccups, should they arise, to ensure the project continues to run smoothly. We’ll talk you through alternatives to find a solution you’re happy with, keeping things as stress-free as possible. However, we do advise that you have a contingency amount in your budget, especially when renovating, to cover any unforeseen variations that may arise. At Cain Built Ltd. we always provide open and transparent pricing for variations which will be found in your quote, so you can be assured that your build is in the right building company’s hands. These documents are crucial, as they give you a better understanding of the allocation of costs and how they apply to any variations to your build, which will assist you in keeping within your proposed budget. Providing you with a project schedule highlighting time frames, you’ll be able to see the start and finish dates of your build. We’ll also give you an in-depth quote which outlines the cost of every detail in your project, and includes any variations that might arise down the track. AT WHAT STAGE DO I CONTACT A BUILDER? Most people don’t have a background in the construction industry, so they don’t know where to start or who to contact. A lot of building companies won’t be prepared to take on your project until the plans are drawn and approved by council also. However, at Cain Built Ltd. we strongly believe that involving us earlier in the project allows us the opportunity to advise you in order to deliver the best results possible. We’ll work together with the architects or designers so we can offer practical suggestions, to make your build easier, faster and cheaper. If you don’t have an architect, we can recommend one of the excellent architect’s in our network. When you involve us from the start, this enables us to plan and organise everything we need in advance, and gives us the chance to address any variations that might arise with your build, so that you have ample time to make decisions.